A native Texan, Jessica was born in El Paso and raised in Austin. She graduated from St. Edward's University with a Bachelor of Business Administration in International Business. While attending Drake University Law School, she was a student attorney at the Neal and Bea Smith Legal Clinic. She graduated from Drake in May 2013. 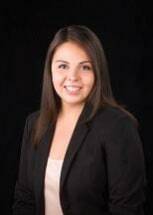 In the summer of 2013, Jessica took the Texas Bar Exam and was admitted to practice in November. Shortly thereafter, she took the Iowa Bar Exam in February 2014 and was admitted to practice law later that year. Jessica worked with ASISTA Immigrant Assistance, a non-profit organization dedicated to assisting legal and law enforcement professionals navigate the complex realm of immigration law. During this time, she also served as legal counsel to Trident Research, an engineering company specializing in military instrumentation. In the Fall of 2014, she left the corporate and non-profit arena to join private practice in the fall of 2014. At Stowers & Sarcone, she handled a number of traffic citations, contract disputes, divorce and custody issues, and offered vital support for complex federal criminal cases. Motivated by her desire to return to the Great State of Texas and advocate for clients whom often get overlooked, Jessica accepted a position with Lorenz & Lorenz. Jessica believes honesty and cooperation amongst attorney and client is the best way to achieve success. She is eager to zealously wok with you to achieve the best possible outcome.